Forget finding the meaning of life, running a marathon or even attempting to read an entire book without skipping to the last chapter. 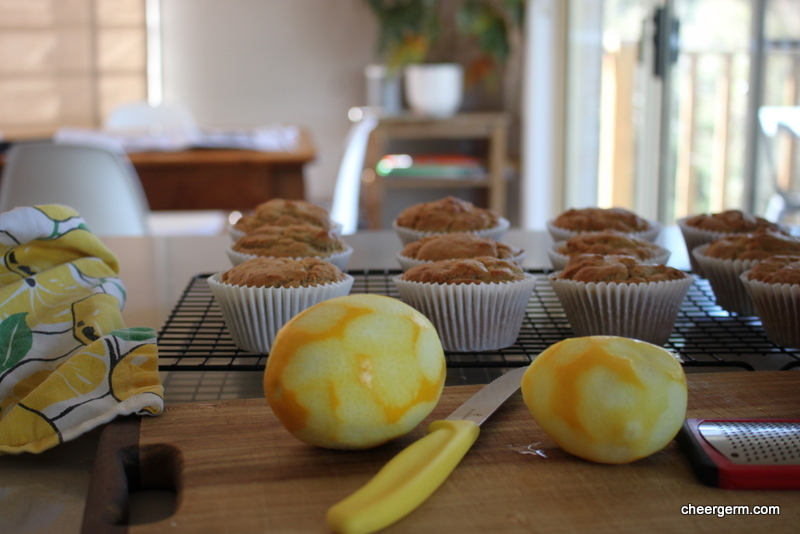 My personal Holy Grail (minus the white steed and medieval suit of armour), appears to be an ongoing quest for the perfect gluten free lemon muffin recipe. Sadly, this is not it. But it ain’t half bad. It is not the fault of the original recipe but merely the curse of using gluten free flour and the tendency for such bakes to dry out quickly. (Especially when the don’t include fruit or some kind of nut flour.) The Yak really enjoyed them and they are certainly at their best on the day of or day after baking. 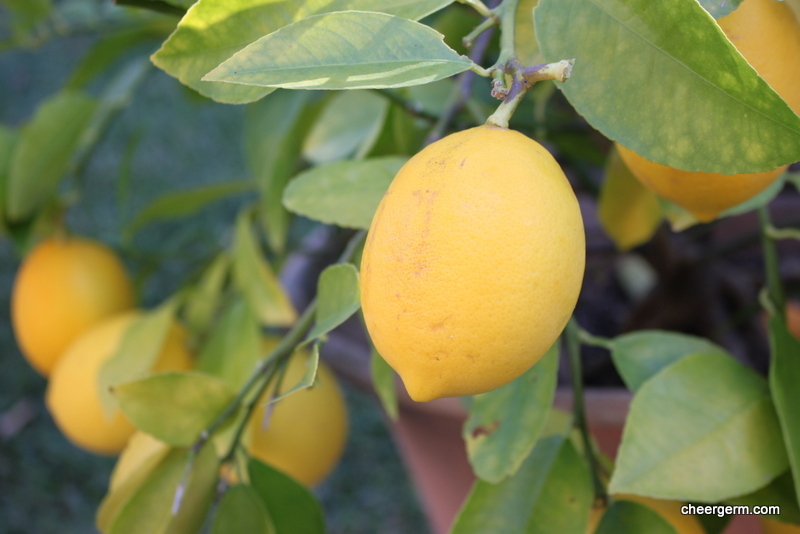 I am most proud of our three bountiful small lemon trees that continue to provide the citrus that is the zingy backdrop to my culinary life. The search continues but it is good to finally know my true purpose. Preheat oven to 180C and place muffin papers in a 12 hole muffin tin. In a small bowl, sift the flour, baking powder and salt and set aside. In a large bowl, beat together sugar and eggs until pale and smooth, this will take about 2-3 minutes. Beat in the yoghut then beat in the grapeseed or olive oil along with the lemon zest and vanilla essence. Add the flour mixture and mix until incorporated. Spoon the batter into the muffin tins, filling each about 1/3 full. To make the syrup, place the lemon juice and sugar into a small bowl and microwave for about 30 seconds until the sugar is dissolved. 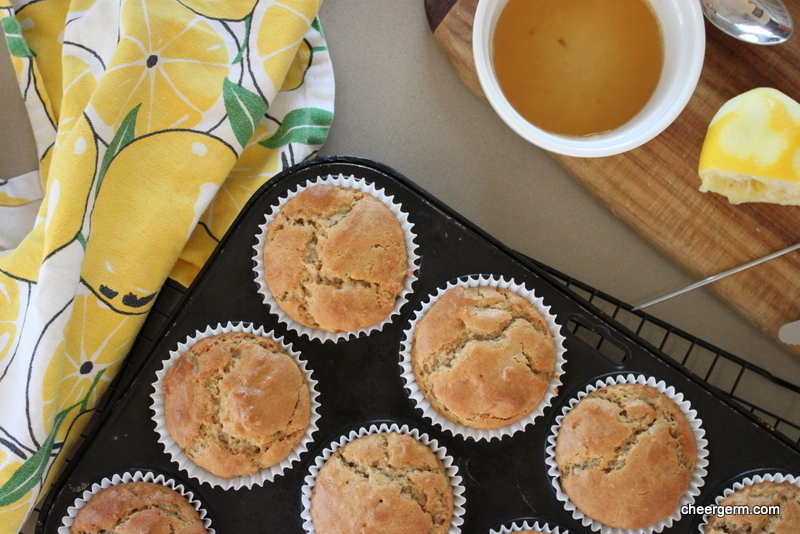 Bake the muffins for 15-20 minutes until golden or until a cake skewer comes out clean. 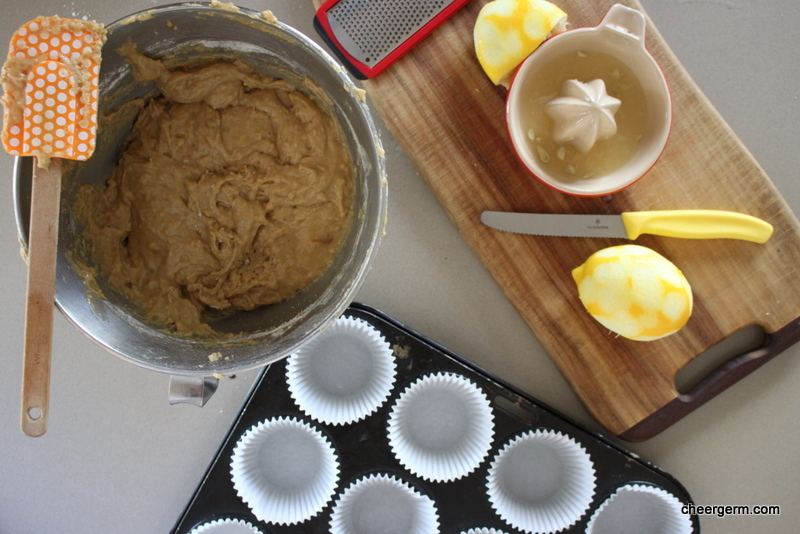 Transfer to a rack to cool and then immediately, poke a few holes with the cake skewer into each of the muffins. Drizzle some of the syrup onto each muffin until all the syrup is gone. 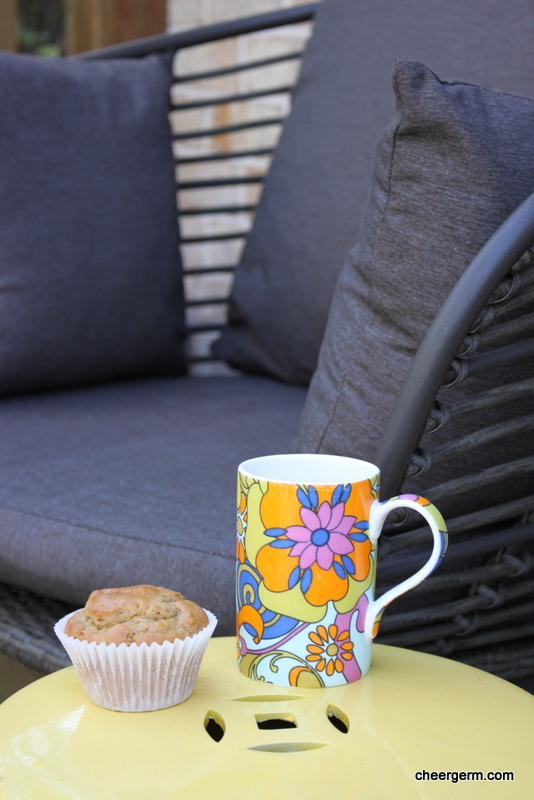 This entry was posted in Gluten free baking and desserts and tagged baking, cheergerm, Cooking, gluten free, gluten free lemon muffins, lemon, lemon muffins, recipes. Bookmark the permalink. It drives me nuts, quite frankly. But I perked up a lot when I realised lemon curd was OK! You have a lemon tree? That just seems so darn exotic. I love all things lemon and, in fact, made lemon sole for dinner last night. The photo of the lemon sliced in half is the most perfect lemon I’ve ever seen. Wow! Wee have three small ones in pots and for some reason, they are the one thing I have no problem growing! They are so lovely to look at and to eat hey? That lemon did look so pretty, I felt bad squeezing it! Your dinner sounds delicious…. Good to hear you have found your purpose in life Lisa. I have heard others whinge about gluten free flour: sounds like the Yak enjoyed them. The recipe looks good and moist. Maybe your benchmarks are too high. Thanks Chrissy! Citrus is fab hey? As we are not GF, I may just try your recipe with regular flour! The difficulty with lemons (which I adore…) for me is getting the right ‘grate’ so that you don’t end up with chunks but get lots of that lemony taste. Any tips on your technique? They’re beautiful! Fortunately I don’t have to worry about gluten. 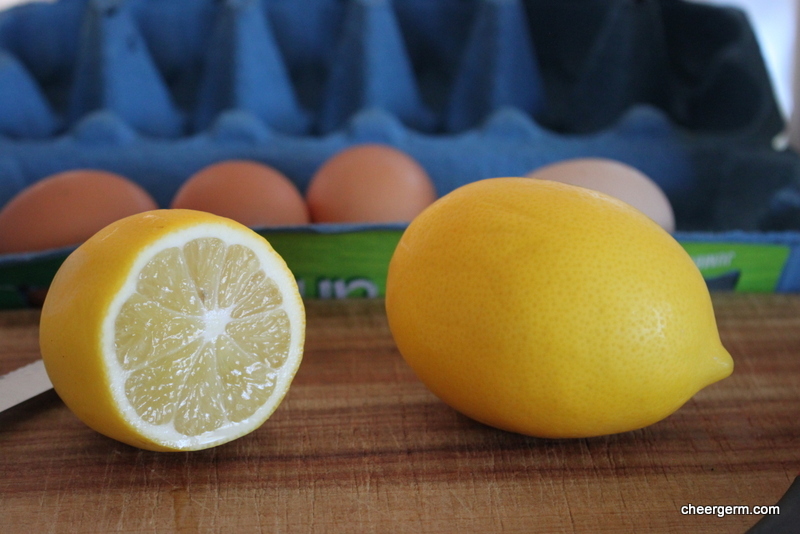 Your lemons are so pretty – are they Meyer lemons? Thanks Mimi! I have been told they are. They also smell amazing. 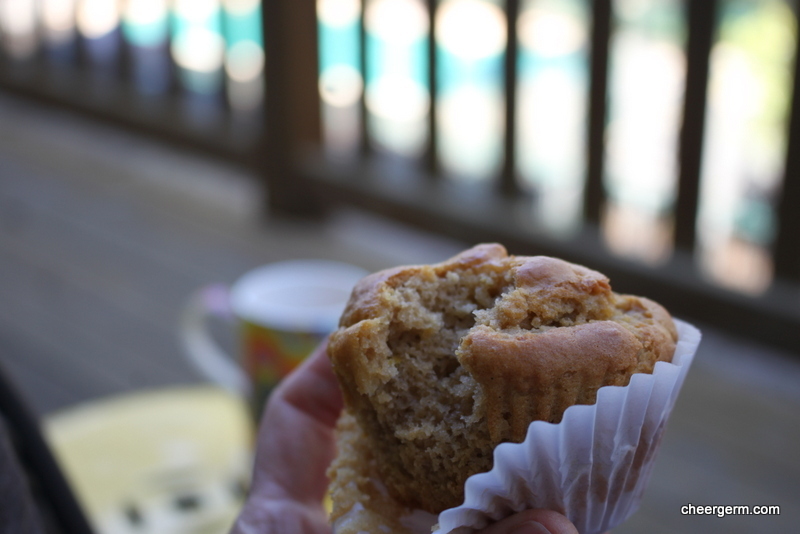 I haven’t had a good lemon muffin in years! I might have to put that on my weekend baking projects list. Good luck with your search!